A tipster who has wished to be anonymous has just dropped in to let us know that the final version of Mac OS X Snow Leopard v10.6 Build 10A432 has been leaked on the web through file sharing sites. 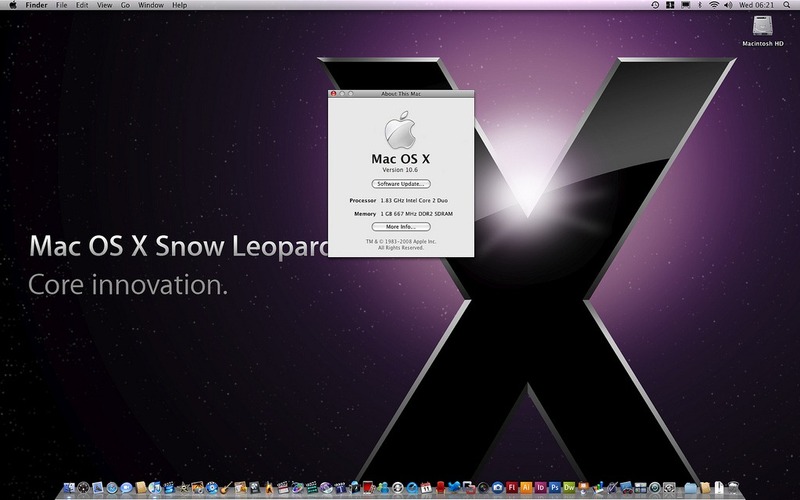 Mac OS X 10.6 Snow Leopard is the next major release of Mac OS X for Macs. It will be available in stores at a retail price of just $29 for current OS X Leopard v10.5 users in September of this year. Fine Print: We don’t in anyway encourage downloading Apple software via file-sharing / torrent sites. This article is purely for informational purposes only. Mac OS X Snow Leopard 10A432 can be downloaded from your favorite content hub. yes 🙂 I gave you the credit for the pic above. Btw do you have this new 10A432 GM Build installed? Why would an MD5 that a “tipster” sent you as a valid, be even remotely considered as valid? I have the original copy with me now and can confirm that this is the real deal. My system prof: Mac book,Intel Cor 2 du,T7200,2.00gh,1gb Ram.This time system not boot.I think some files missing,My os disc is lost,so u pls tell me how to operate this mac book? If i have to buy Mac OS disc in which version supoporting to this?